Includes a Foreword by Professor Barry McGaw, Director, Melbourne Education Research Institute. AER 52 aims to expand our understanding of the nature of literacy at a time when public and private lives have become increasingly literacy-dependent, and literacy demands more complex and sophisticated. This review of the research literature is guided by the view that what passes for effective literacy education will differ depending on language, culture, history and the technologies of communication and knowledge production. Section 1 describes the large body of research relating to the teaching and learning of literacy that emerges from a wide range of discipline bases. It details the complexities associated with defining literacy, and it outlines the scope of this review. 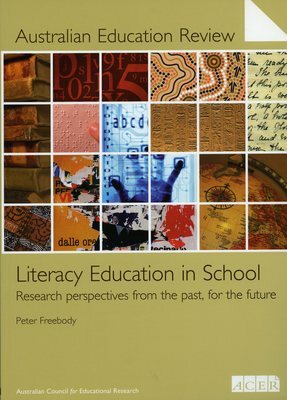 Section 2 explores the differing versions of literacy education that have been constructed for study by researchers from different disciplines, in the context of a brief historical exploration of the role of literacy as a force for social and cultural coherence. Section 3 presents a summary of current research into how educators have taught young people to crack the codes of literacy in school settings. Section 4 suggests principles and topics for further research in literacy education, based on both the research reviewed in earlier sections, and a discussion of the kinds of research needed to advance literacy teaching and learning in coherent and actionable ways, and in real educational sites.